Twincraft Skincare continues its exploration into the skincare-meets-makeup space with an anti-pollution Finishing Spray. There are many reasons why today’s shoppers are looking for efficiency and convenience in their personal care products. They may be looking to minimize waste and reduce their consumption of single-use plastics. They may have just binge-watched Netflix’s “Tidying Up with Marie Kondo” and cleansed their bathroom of everything that did not “spark joy.” They may just be strapped for time and looking to streamline their skincare and makeup routines. Whatever the reason is, shoppers want products that do more, with less. Versatility is key for new product launches, and for cosmetic brands looking to expand into the skincare space, or for skincare brands who want to explore the cosmetic space, there are plenty of line extension opportunities that blur the categories of skincare and makeup. Our Shimmer Serum is an excellent example of this, as it’s a mica-enhanced glow-booster with anti-pollution claims. Our new Finishing Spray is another product concept for this space, where we take a traditional cosmetic product and look at it through our unique, natural product lens. A finishing spray is known by many names: setting spray, makeup mist, fixing mist. Whatever it’s called, its claims are consistent. It is a multi-use product intended to prolong and enhance makeup, add hydration, and protect the skin from external elements. Traditional finishing sprays have been compared to hairspray, but for the face. They rely on dimethicone and other heavy silicones to affix makeup to the face. They also use alcohol to ensure a fast dry time. Silicones and alcohol are both potentially sensitizing to the skin, and can dehydrate the epidermis. We focus on formulating liquid library concepts without silicone or alcohol, so our goal this quarter was to create an new innovative product that could be used as an effective finishing step for makeup, while avoiding those chemicals. Our Finishing Spray creates a protective layer over makeup with just a few fine mists. 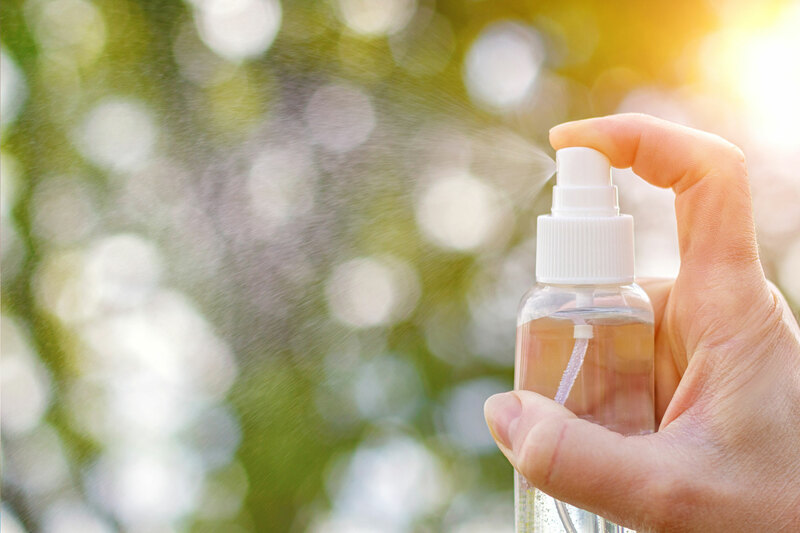 The spray uses Glycofilm to create a shield over the skin, protecting it from environmental stressors, toxins, dust, and other harmful elements. It layers well with foundation and concealers, so it can also be used after skincare as a primer, building a hydrating base coat that will help prolong the look and wear of additional makeup steps. This formula pairs best with a high quality spray bottle, and our liquids packaging team is available to discuss options for your brand. This formula does not need to be shaken before use, which differentiates it in a marketplace full of “Shake Before Use” products. To use, hold 12” away from face and mist 3 – 5 times, covering intended area. Want to discuss this and other opportunities in the skincare-meets-makeup space?